Nicolas Pesce's gothic piece will be released in theaters and VOD on December 2. 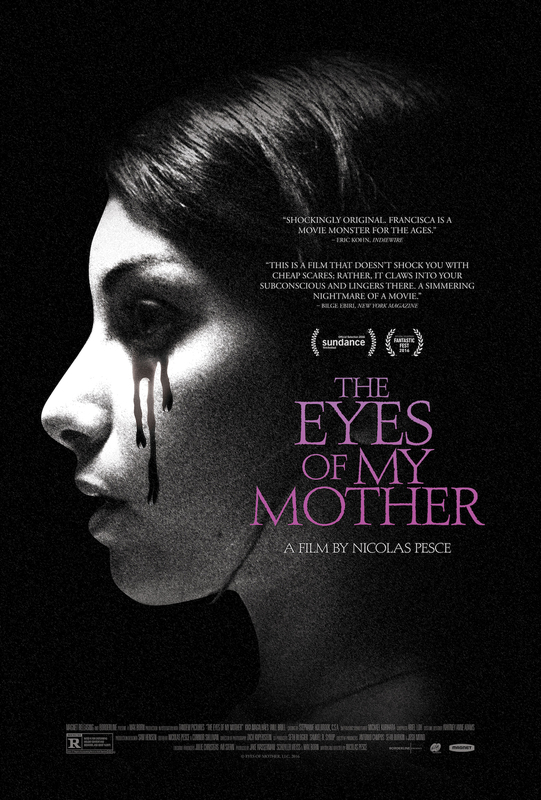 Nicolas Pesce’s haunting and unnerving gothic tale, “The Eyes of My Mother,” made waves at this year’s Sundance Film Festival. The black-and-white horror film was quickly acquired by Magnet Releasing soon after its premiere, and have now released the first mesmerizing trailer and poster. The genre piece centers around a mother, formerly a surgeon in Portugal, who teaches her daughter Francisca to understand anatomy and be unfazed by death. After a mysterious visitor shatters the idyll of Francisca’s family life and deeply traumatizes her, it also awakens unique curiosities. Check out the sneak peek below. “The Eyes of My Mother” marks Pesce’s directorial debut and stars Diana Agostini, Olivia Boand, Will Brill and Kika Magalhães. The film will be released in theaters and VOD on December 2.